It’s a wonderful time of the year. We’ve grown up happily affected by the Holiday spirit, haven’t we? No one can ever take that away from us because it’s a feeling – it’s from, and in, the heart. It’s our memories of family and friends gathered each year for decades, with new faces emerging and old ones fading away. It’s about love. It’s the one time of year where everyone genuinely prefers to be nice to each other. It doesn’t matter where you stand on the origins of the holiday as long as you respect what it means to so many others. Of course there are fun and easy ways to show your holiday spirit. And you can never do too much, that would be like saying you can spread an average of cheer. Even if you don’t have a lot of time to invest in decorating there are truly easy yet very effective tricks you can do. 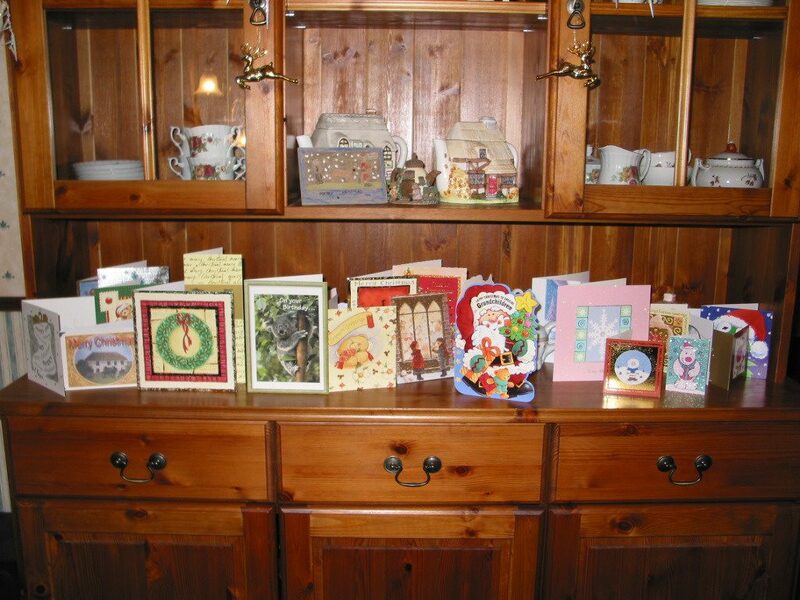 Displaying holiday cards is a great way to decorate. If you still have last year’s haul, you’re ready to go as early as you prefer! Want to be clever? Use ribbon or clothespins on string to hang them from the staircase. Or, dress up your fireplace a bit by wrapping twin birch logs in store-bought holiday lights. You can unleash a little extra bit of shine by tastefully placing glass candlesticks and votives along both sides of the fireplace to create a taste of elegance. 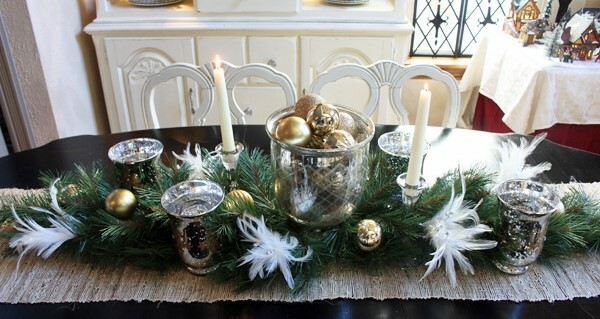 And – of course – what holiday-themed home would be complete without table trimmings? You can purchase imitation china from the discount store as well as a variety of fancy cloth napkins. Those local thrift and even dollar stores will have a variety of reasonably priced Christmas items to choose from. 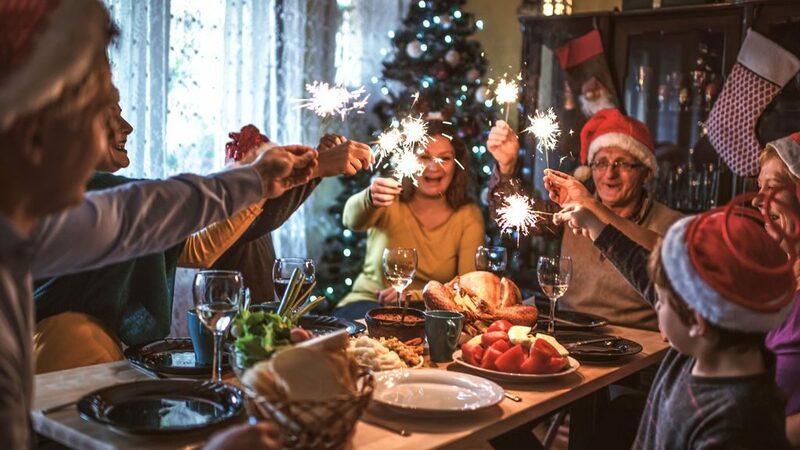 Be sure to look for centerpieces, whether it’s a basket of fresh faux fruit or a replica of Santa in his sled led by reindeer, all of your table decorations are out there – cheap and easy to find! And remember – you are by no means confined to red and green. You can have fun with color and still keep it all within the holiday theme. I love to find inexpensive paper medallions of metallic shades – silver, gold and bronze are perfect on the wall or on top the mantel place. Surround them with sprigs of evergreen garland with berries and you have the makings of an antique holiday of ‘ol. Live in the areas of the country that never get snow for Christmas? Well, why not compensate by hanging snow mobiles at each window? 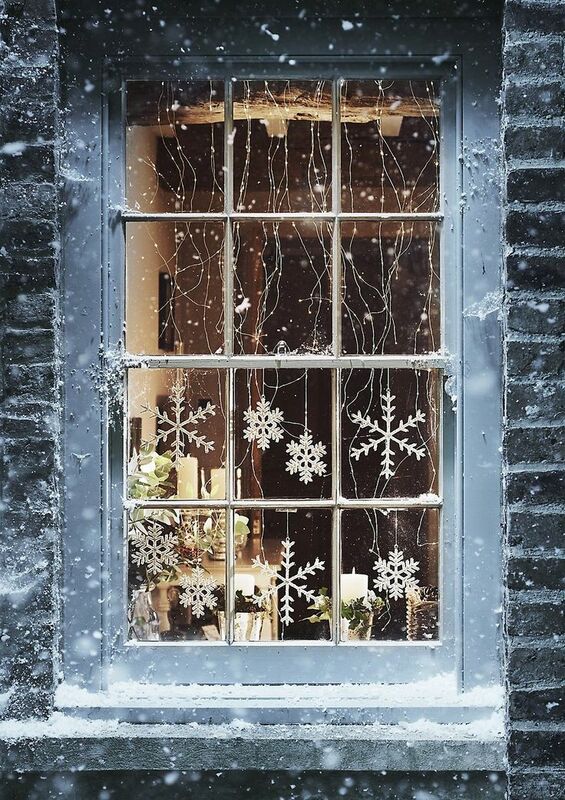 Dangle cascading strands of silver and white gift ribbons attached to your little homemade snowflakes for those dreaming of a white Christmas visuals! Did you get an early start on your gift shopping? Wrapped gifts are no longer confined to homes beneath the tree! Make a great table display with a pile of them and adorn them all with festive wrap. Scatter round solid color ornaments of various sizes in the vicinity for a Norman Rockwell-like setting. As decorative elements, wrapped gifts can be tastefully placed anywhere to further inspire the giving spirit of these special days and a daily reminder of the big day to come! Candles! 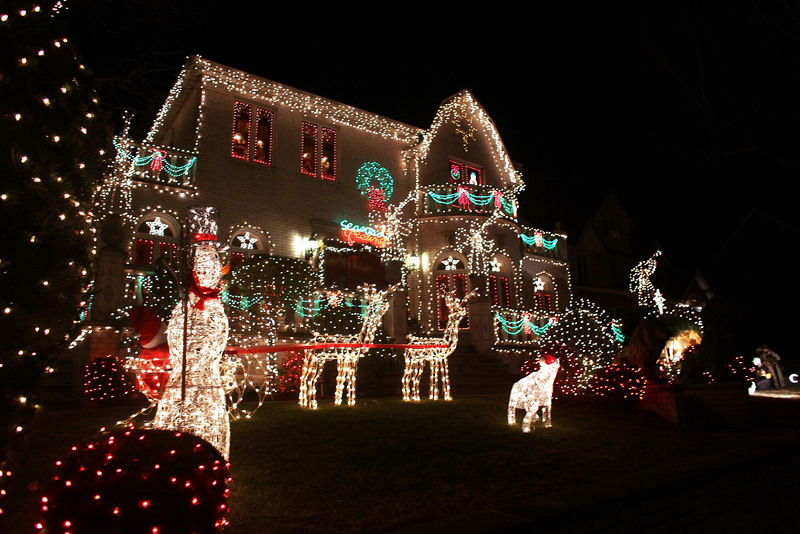 One can imagine a certain evening in Bethlehem with the use of these decorative providers of light. Couple pillar candles together to add warm ambience. Wrap ribbons on other randomly placed candles to really complete the vibe of a vintage and ghostly holiday of Christmas past. And of course you’ll want to share your spirit with folks outside! 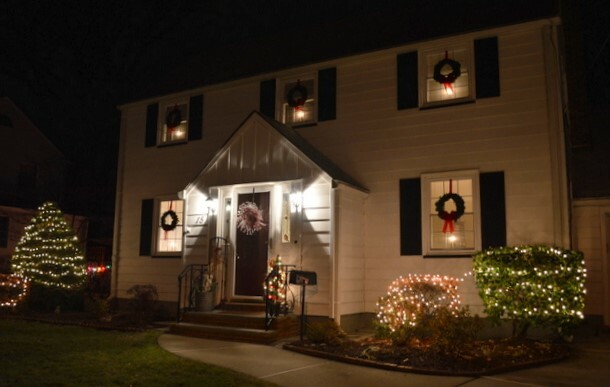 It’s nice to have candles in each window (battery operated ones are best since they’re often unattended), and of course, a big red bow on the front door, welcoming all of your friends and family from near and far! But wait – what of the Christmas Wreath, you ask? It’s the centerpiece of any home celebrating the holidays. Obviously you can buy those pre-made inexpensively, but you can customize them, too. Pick up an Evergreen wreath of a generic variety, lay it on a table and take three bunches of red berries and two of white. Trim the stems on all of them so they’re even. Strategically weave the colored berries into the wreath evenly. 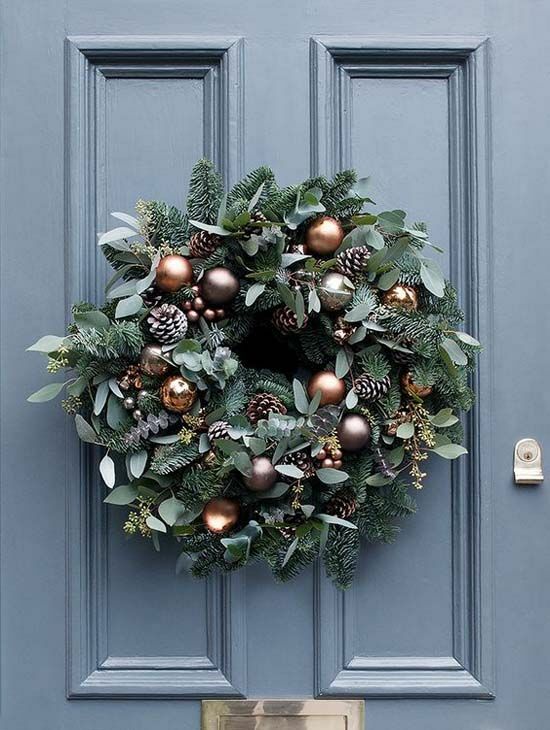 If they have trouble staying in, use thin wire throughout the wreath to help anchor them. Take that big bow that would otherwise be alone and smack it right on top or bottom of your Christmassy creation for the ultimate accent that transforms any home into a winter wonderland. Happy Holidays!